We love a good hot spring. Cleansing, relaxing and liberating, hot springs are popular all over the world and Asia has its fair share of excellent spots for a warm dip. Hot springs are caused by geothermally heated water rising up from the Earth’s crust. Temperatures of the spring must be above body temperature to be considered a ‘hot’ spring and usually fall around the 37°C range. The therapeutic uses of hot springs are widely known – water in hot springs often have a very high mineral content and can contain higher levels of calcium, lithium and other nutrients than that of cold water. 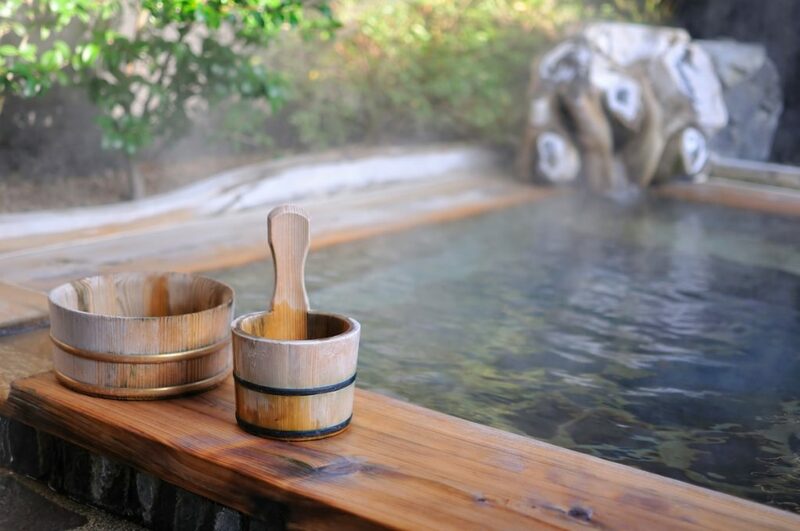 Perhaps the most popular region of Asia for hot springs is Japan. Located in the ‘Pacific Ring of Fire’, The Land of The Rising Sun is a volcanic region and a visit to an ‘onsen’ is seen as a quintessentially Japanese experience and is very popular activity for travelers. The Ōedo Onsen Monogatari in Tokyo is one of the most famous onsens in Japan, located on the artificial island of Odaiba in Tokyo Bay. This giant ‘onsen theme park’, which sources water from 1,400m underground, is akin to a resort and modeled on an Edo period town. Here you’ll find a huge variety of private indoor and outdoor tubs, as well as restaurants, shops, and massage and spa treatments rooms. Onsen are a great way to try curing jetlag, or simply unwinding after a long trip. The Banjar Hot Springs in Bali, Indonesia take a slightly different form, with all water housed in three communal swimming pools surrounded by nature. Located in the northern part of the island in the Banjar Countryside, the cloudy 38°C water of this hot spring is held in high regard by locals who believe the water can heal disease. The water enters the pools through the mouths of stone ‘naga’ (mythical dragon-like creatures) statues, which add to the ambience of this reputedly ‘magical’ spring. Thailand is not well known for its springs, but the San Kamphaeng spring in Chiang Mai is one place you can head if you’re craving a leisurely dip…and a boiled egg. Curiously, it has become incredibly popular at this Thai spring to cook eggs while relaxing – multipurpose bathing you might say. Springs give off a strong sulfur smell, which itself is akin to a rotten egg –perhaps that’s how the original link was made…but if you do go to visit, you may as well try it for yourself – ’when in Rome’, etc. The Thap Ba Hot Springs in Nha Trang Vietnam specializes in mud baths, a slightly more traditional offering you’d expect to find at a hot spring (compared to boiling eggs). This Vietnamese spring has a range of different pools and options for mud bathing, with both private and communal pools and various hydrotherapy options for a very local and quirky way to spend the afternoon! If you’re planning a trip to Asia and would like to visit a hot spring while you’re here, you can contact our Travel Specialists at Backyard Travel for some insider info wherever you’re headed and we’ll share our expert knowledge with you – we’re Asia experts after all!